Crossroads of America Council's Heritage Society recognizes those who want to preserve the tradition and values of Scouting for generations to come. The Heritage Society is a program for those who desire to include Scouting in their estate planning or make gifts to the council's endowment fund. Gifts may be for specified for general use or restricted special purposes. Crossroads of America Council hosts a Heritage Society Dinner annually in the fall to recognize the friends and supporters of the endowment fund. All Heritage Society members are invited. More information will be available closer to the event date or by contacting Ted Karns, Council Executive, by phone at (708) 471-7335 or by email. The James E. West Fellowship is a national recognition for individuals who contribute $1,000 or more in cash or securities to these local council endowment fund. This contribution is in addition to and does not diminish or replace a donor's annual gift to the council's Friend of Scouting campaign. Organization or individuals may also contribute an award in honor of someone. The award is presented with a certificate, a lapel pin and a uniform square knot. The Scout Memorial and Tribute Fund allows donors to honor someone on a birthday, special occasion, anniversary or in memory of someone deceased. These gifts remain in perpetuity to ensure that Scouting is available for the youth of our future generations. Donations to the Scout Tribute Fund become part of the endowment fund and are tax deductible. 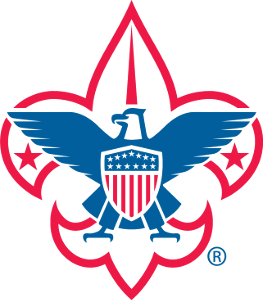 For more information on the Heritage Society, the James E. West Fellowship or the Scout Tribute Fund contact Ted Karns, Council Executive, by email or by phone at (708) 471-7335.